Do you have family traditions for the holidays? Is it visiting Santa every year and enjoying the photos with him of years past? Or is it spending precious time with loved ones who live a bit farther away than you wish? Are you looking to start a new family tradition? How about the gift of diamonds from Will Jewelers in Fort Wayne, IN? Diamonds and fine jewelry is the Will family tradition. All TEN children have a part in the family business of Will Jewelers. They have treasured memories, built over the last 60 years, of helping you choose an engagement ring, a wedding set or a special piece of jewelry that has significance in your life. This holiday season, continue (or begin) the tradition of the gift of diamonds at our Coast Diamond Retailer of the Week, Will Jewelers in Fort Wayne, In. Will Jewelers of Fort Wayns, IN has Extended Hours through Christmas Eve! Stop in to Shop! They have several sales going through December 31st! 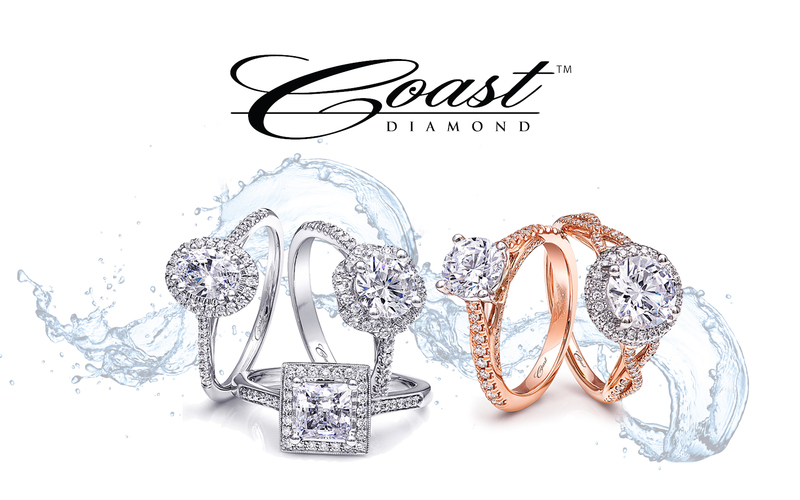 Which of these exquisite pieces from Coast Diamond, at Will Jewelers, will be your gift of diamonds this holiday season? This heirloom engagement ring has all the hallmarks of tradition – A classic One-Carat Coast Diamond engagement ring (LC20020) with microprong set diamonds on the shoulders of the ring. As tradition would have it, this One-Carat Coast Diamond Band (WS20000) with round brilliant diamonds set in microprongs is perfect to complete your wedding set. It is also a beautiful gift for your loved one for the holidays or an anniversary. Will Jewelers has two beautiful locations to serve you. Stop in today to start, or continue, your tradition of the gift of diamonds this holiday season. Congratulations to Will Jewelers of Fort Wayne, In for being our Coast Diamond Retailer of the Week!